The Chicago Tribune first broke news of a hit-and-run that occurred in the West Woodlawn neighborhood of Chicago on August 26th at roughly 11 a.m. The 23 year-old bicyclist was reported as being seriously injured in the crash that occurred on the 600 block of East Marquette Road. There is a painted bike lane on both sides of E Marquette Road that stretches from the 500 to the 700 block. However, in spite of the presence of bike lanes on that designated block of East Marquette Road there is a lack of stop signs. The police are searching for the motorist involved in the hit-and-run that hospitalized the bicyclist. 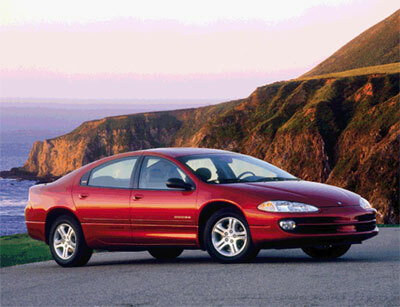 According to the testimony of a witness at the scene of the incident, the bicyclist was thrown onto the hood of the 2000 Dodge Intrepid (PICTURED ABOVE), resulting in the car's windshield shattering. The witness proceeded to follow the driver who fled the scene of the crash. Upon later approaching the vehicle, the witness reportedly found the vehicle unattended. Hopefully, the 23-year old bicyclist will be able to find justice for this criminal act that was inflicted upon him in this bicycle accident. The Illinois Bicycle Lawyers at Keating Law Offices have successfully represented many bicyclist who were involved in hit-and-run collisions. 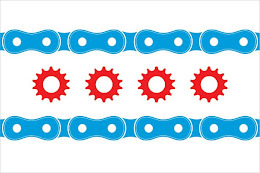 If you have any questions regarding this post or a case involving Illinois personal injury law, please contact Illinois Bicycle Attorney Mike Keating at 312-208-7702 or MKeating@KeatingLegal.com 24 hours a day, 7 days a week. All emails and phone calls are returned promptly. All initial consultations are always confidential and free.